I hold a Sri Lankan passport. To you, this may sound exotic, but it is actually one of the worst passports to hold in the world. My country hardly makes it into any Top 10 lists, but somehow, we’ve managed to get ourselves in at #10 on the “Top 10 Worst Passports of the World” list. Check to see how yours is doing! Anyway, when I was younger, I was unaware of our disadvantages when it came to traveling because I never had to do any application myself. But the older I got and the more I started to travel by myself, I came to realize that this passport was the bane of my existence. It has caused many problems – on top of wasting a lot of time and money when it came to travel, I’ve had to cancel plans after booking flights and hotels, I’ve been stranded at airports, and I’ve even had to refuse a job offer. After a while though, you learn to become flexible with your plans and now when I travel, I make sure to always check visa policies of a country before entering it. And this is something you should do too, no matter what nationality you are. For those interested in traveling to Vietnam for tourism or business purposes, I’ve written this article for you in order to ease your process. Vietnam is luckily not so complicated when it comes to their visa policies but confusion can arise, so I hope you find the necessary information in this article to have a hassle-free entrance to the country. Exempted countries (including APEC card holders). Application via embassy or online for Visa-On-Arrival (Visa validity, number of entries, requirements for application, cost, processing time). Over time the article will be continuously updated to reflect the changes in visa policies. I hope you are able to find this useful. The Lucky Nationalities That Do Not Need Visa to Enter Vietnam for Travel Purposes – You Hold The Golden Ticket (Passport)! I’ve placed the visa exemption section at the start of the article as a favor to you. Only if your country is not listed in the following table should you continue to scroll down and read on? As a general rule; all visitors to Vietnam must provide a valid passport and an entry visa/visa approval letter at the port of entry; but certain nationalities are eligible for a visa exemption due to unilateral and bilateral visa exemption agreements between the Vietnamese government and their respective countries. The only documents you need to provide to the immigration officer; in this case; are your passport and return ticket, and once approved and stamped, you are good to go! If you intend to stay longer than the exemption allows you to, you can easily apply for a visa renewal (NOT extension, as this option; is not available for you) at either of the main Immigration Department located in Hanoi; Ho Chi Minh and Da Nang. However, this may be a little costly. If you want to avoid this process and save time and money, you can just apply for the appropriate tourist visa (1-month/3-month, single/multiple entries) prior to arrival through a Vietnamese embassy or consulate in your country; OR you also have the option to arrange a visa approval letter online and get your visa on arrival at the port of entry. Details for both procedures and relevant addresses can be found below. Those that hold diplomatic or official passports of the following countries do not require a visa to visit Vietnam either. You will be granted either a 1-month/3-month, single/multiple entry visas, depending on nationality. And for The Rest Of Us…Obtaining Visa Prior to Arrival. What Are Our Options? But if, like me, your nationality is not mentioned in the table above then your options are to either obtain your visa at a Vietnamese embassy or consulate in your country; a travel agency granted the authority to do it for you; or apply online for a visa-on-arrival. For tourist visas, you are given a 1-month or 3-month option which may be further extended/renewed after your arrival in Vietnam. Multiple entry visas are also possible if you plan to enter the country more than once in the specified period of time, but you will need a rough idea of your dates of travel in order to fill the form incorrectly. You may also need to show your flight tickets and/or hotel reservations, but these requirements change according to the passport you hold. The time taken to process your pre-applied visas vary from country to country as well, but usually takes between 3-7 business days to complete. The fees for the visa also vary depending on nationality, the location of application, duration of stay, and whether you are applying for a single or multiple entry visas. But if the embassy or consulate is not in your city, you may have to DHL your passport over and back, so bear in mind that you will need to cover the costs of the prepaid couriers too. I personally do not recommend this as my friend had his passport stolen right from his postbox in Melbourne. Applying for a new passport is a tremendously long process – try your best to avoid getting yourself into a situation that necessitates that. Along with the required documents which generally includes only your passport and two standard passport-sized photos; you will have to fill in the visa application form for submission. Either print it out in advance or fill it up at the consulate – the latter takes time if the line is long. Once you submit these together along with the fee (payable only by cash), the consular officer will give you a receipt which you must have with you when you return to pick up your visa in the time period specified. A tip: When it comes to the photo you are submitting, make sure it is a recent one and not one that is drastically different to how you look right now. My previous passport had a picture of me with a monstrous monobrow which I now do not have. The immigration officers usually had to stop and look twice or three times since I do not look like Bert from Sesame Street anymore. My previous passport had a picture of me with a monstrous monobrow which I now do not have. The immigration officers usually had to stop and look twice or three times since I do not look like Bert from Sesame Street anymore. *** Because requirements for visa applications vary so much depending on many factors, it is advisable that you contact the Vietnamese embassy or consulate directly to ask them for the most updated information relevant to you. Give them your nationality and travel details and ask them to in turn provide you with the best visa option you can apply for, the required documents and the fee. This way you can avoid visiting the consulate multiple times because you have forgotten a required document or do not have enough cash on you. When I applied for Mainland Chinese Visa in Hong Kong, I had to go three times because I was given different information and for those of you familiar with Wan Chai, you will know how draining this process was. You may also use this website to get an idea of what documents you must provide for your application. The details given are country-specific – just select your nationality. You may also click over to this link to find all the addresses of Vietnamese embassies located around the world. Another option for those of you who are strapped for time or do not want to send your passports away if there is no Vietnamese embassy or consulate in your hometown is to pre-arrange a visa-on-arrival. Visa-on-arrival means to get your visa approved by the Vietnam Immigration Office in advance, and then getting it stamped on your arrival. There are numerous agencies authorized by the Vietnamese government to collect passport details and arrange for an “approval letter” to facilitate this process. These agencies charge a small fee and sometimes this fee adds up to being less than what you end up paying at the consulates If you apply for the visa the “normal” way. With visa-on-arrival, you are able to apply for any of the standard tourist visas (1-month/3-month, single/multiple entries). But the only difference is that VOA only works for those flying into the country via Hanoi, Ho Chi Minh or Da Nang International Airports. For those crossing the border by land or arriving on the cruise, unfortunately, this option is not for you. Your passport must also be valid at least for another month from the date of exit and have enough empty pages so it can be stamped. Applying for a VOA is easy. Go to the Vietnam Visa website and click on to “Visa-On-Arrival.” Once you do so; fill in and submit the form shown on your screen. You will be charged online for the service fee and you can also choose to pay extra to shorten the processing time if need be. There is another fee involved and it’s called the “stamping fee” and this has to be paid in cash in order for you to be able to collect your visa when you enter Vietnam. After the processing period, you will receive an email with the approval letter attached and details on how to use it. Print out the letter in advance so you can submit it to the authorities at the airport. Make sure you read and remember the details written in the email and DO NOT delete it in case you need to return to it. At your departure airport, you will be asked to show the approval letter at the check-in counter. Only then will you be allowed through. Once you land in Vietnam; find your way to the “visa-on-arrival” or “landing visa” counter – usually before or beside customs area. Submit your letter along with your passport and two passport-sized photos. The stamping fee is paid at this stage and it is $25USD for a single entry or $50USD for multiple entries, never mind the duration. However, this fee may change depending on your nationality. After a short processing time; you will receive your passport back with a stamp of approval. * In some cases, you may need to also submit proof of onward travel. The email you receive will specify if you need to. That’s it. There’s no fifth step. All that is left to do is to get through passport control, pick up your baggage if you have any; and exit onto the chaos that awaits. There are also numerous agencies given the authority to grant you a visa-on-arrival approval letter and sometimes they operate for much cheaper. Unfortunately, many are also scams. But if you do wish to go through an agent (sometimes more convenient and cheaper); we have scouted out a trustworthy one for you (VoaVietnam). Once you receive your letter from VOAVietnam, the rest of the procedure remains the same. E-Visas for foreigners should be available from the 1st of February, 2017. The list of eligible countries has not yet been compiled but will be released soon. Visitors will be allowed to enter once for up to 30 days. E-visas (electronic visa) are now issued to foreigners by the Vietnamese Immigration Department. These are valid for a maximum of 30 days and only allow a single entry into the country. Unfortunately, not all nationalities are eligible to receive an e-visa but the list of countries that are eligible can be found here. Once you upload your passport data page and photo, a registration code will be sent to you. After that you will have to fill in your payment details, registration code, registration email and date-of-birth in the E-visa search menu here. You can check your E-visa status. If your application is rejected, you will not be refunded. If you wish to extend your stay without having to leave the country, you can do so by applying for a visa extension or renewal via the Vietnam Immigration Department or via online agents. It is recommended that you do it through the Immigration Department to avoid confusion or getting scammed. Documents you must submit include copies of passport bio page, current visa, immigration stamp, last date of entry, port of entry and details of your current address in Vietnam. Please note that only a limited number of nationalities are eligible to apply for a visa extension/renewal, and the requirements change accordingly as well. The contact details of all the Immigration Departments in Vietnam are provided below, so you may call and ask. The Vietnam Immigration Department has temporarily stopped extending the visa for all nationalities. Please leave Vietnam and apply for a new visa to be able to re-enter the country. Getting a visa extension means to acquire permission from the government to stay longer in Vietnam. You can do this by going to the Vietnam Immigration Department (any of the three major ones in Hanoi, Da Nang or Ho Chi Minh) and filling in and submitting the appropriate forms. The extension is only possible for a period of 1 or 3 months, depending on the current visa you have. If you wish to extend your visa for a period of 1 month, your current visa must be a 1-month/3-month, single/multiple entry visas. The fee will approximately $60USD – $155USD, depending on nationality. If you wish to extend your visa for a period of 3 months, your current visa must be a 3-month single or multiple entry ones. The fee will be approximately $180USD – $310USD, depending on nationality. With visa renewal, you are granted a new visa sticker and stamp on your passport with the new duration. You are only allowed to renew your visa for a maximum period of 3 months; just like with extension, but unlike extension; the renewal option is available for those who entered Vietnam with visa exemption. If you would like to upgrade your current visa from a duration of 1 month to one of 3 months, or if you would like to upgrade your current visa from the single entry to multiple entries, you will have to go through the renewal process. The cost for renewal is $200USD (1 month, single), $330USD (3 months, single) and $350USD (3 months, multiple). Of course; if the visa extension/renewal option is not available for your nationality. But you wish to stay longer? Then you must exit the country; apply for a new visa & return. The processes for getting a new visa are the same as those mentioned above. You can apply through Vietnamese embassies in other countries. Or you can do it online & get a visa approval letter and receive your visa on arrival. Vietnam borders Laos & Mainland China in the north & Cambodia in the South. Thailand is also in the nearby vicinity. You have many options to do your so-called “visa run” but make sure you check into the visa policies of these countries too! You don’t want to end up being rejected at the border; which will then result in you overstaying the Vietnam visa and having to pay a price. And that is to fly to Phu Quoc island. All travelers can visit this island without the visa for 30 days. Yeah, I don’t know why either. To overstay your visa means to stay longer in the country than the visa legally allows you to. There are two types of penalty fees you must pay if that is the case – the “fine” fee; & the extension (if you want to & are able to)/exit fee (if you are forced to leave the country). If you have only overstayed your visa for a period of less than 3 days; you are not required to go to the Immigration Office, & you can pay directly at the airport and get an exit visa to leave the country. The penalty fee for a longer overstay will be about 500,000VND ($25USD) per day. If you still want to remain in Vietnam, then pay the “fine” fee & get an extension. A few legal documents will be required for this process, so contact the Immigration Department in advance. 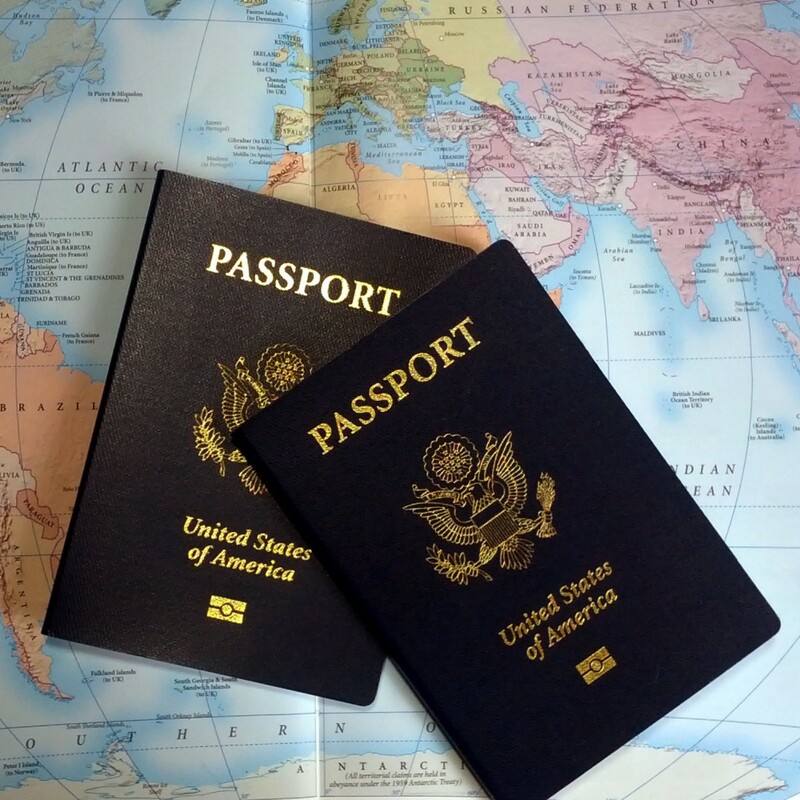 If you overstay your visa due to a lost passport; the options are the same. But you must contact your embassy & apply for a new passport/travel permit/diplomatic note; then contact the police & write up the passport lost report; & finally arrange for a visa renewal through the Immigration Department. Of course, the longer you overstay, the more complicated the procedure will be as the Immigration Department will need to track your legal activity record during this overstay period. Please remember that overstaying is a serious offense & to avoid all this, pay attention to your visa validity & that it coincides with your date of departure. Mistakes are made sometimes as we are all human. Many countries do not require you to acquire a transit visa if you intend to be in the country solely for transit purpose. Vietnam is one of those, provided you have proof of onward travel, & as long as you plan to stay inside the airport. However, you may want to confirm with your airline & maybe even contact the Vietnam embassy just to make sure. Just giving you an example as to why that should be done – I had a flight once from Mandalay, Myanmar to Hong Kong via an hour’s transit in Bangkok, Thailand and I was not allowed to go through passport control as the airport officials said I needed a transit visa for Bangkok. This was news to me as I had done a similar transit in Bangkok before. The only difference was that the first time, I had flown a premium airline (Malaysian) whereas this time, I was flying a budget one (Air Asia). I ended up wasting about $300USD booking further flights, so don’t make the same mistake I did, & check beforehand! The procedure for acquiring a transit visa at the airport should be simple. You will be granted transit if you present your passport, a ticket that matches the route to the third country, & a visa that is issued by the third country (unless the visa-free entry is allowed). Those granted transit must stay within the transit passenger area. However, all Vietnamese international airports are quite inconvenient to sleep at & if you have quite a lengthy transit and think exiting and getting yourself a hotel is more comfortable, then it is wise to apply for a normal single entry visa in advance. It’s not that expensive, & this way you’ll get to see a little bit of the city as well. Including Japan, Sweden, Denmark, & Finland. Nationals from these countries are granted a visa-free entry to the country for business on the condition that they provide their passport & return ticket back to the home country on entry. There are two options to obtain Business Visa for those that require it. You can either visit the Vietnam embassy or consulate in your country. And apply the “traditional” way, or you can apply online through a qualified agent or immigration website, receive a letter of approval & get your visa on arrival. Applying online is now generally preferred as it is easier and faster; and sometimes cheaper. There are also three categories of Business Visas you can acquire (DN, LV, and DT) and this depends on your line of work. You can apply for visas allowing you to stay for a period of 1 month, 3 months, 6 months or 1 year, all with single/multiple entry options. Note: These are the general requirements and may vary from embassy to embassy. Please as mentioned in the article many times, contact the Vietnam embassy in your country in advance so you don’t have to make repeat visits. Once you submit the required documents and fee, you will be given a receipt which you must have with you when you return to pick up your visa in the time period specified. The visa generally takes 5 – 7 business days to process. You may click over to this link to find all the addresses of Vietnamese embassies located around the world. Applying online is almost the same process, except in some cases you do not need a Letter of Entry Clearance from the Ministry of Public Security of Vietnam. Check ahead with the agency if you think this is the case for you. Make sure you select a good agency that can guarantee approval for an affordable price, with a 100% refund for rejection. If you would like to apply through the Immigration website, use this link & click on to “Visa-On-Arrival”. Then select “Business Visa” on the drop-down menu beside “type of visa”. After the processing period of normally 3-7 business days, you will receive an email with the approval letter attached & details on how to use it. Print out the letter in advance so you can submit it to the authorities at the embassy or airport for stamping. Make sure you read & remember the details written in the email. DO NOT delete it in case you need to return to it. Calling the Vietnamese Embassy or Immigration Department in advance & finding out the specifics is always a better idea. Once everything is submitted, you will receive your visa within a matter of minutes of sitting & waiting. Once you do; you are good to go. Please remember that visa policies are always subject to change & as mentioned before, this article will be continuously updated to reflect any changes. Check back in a few weeks if you think there will be any updates you think will affect you. Enjoy your travels!